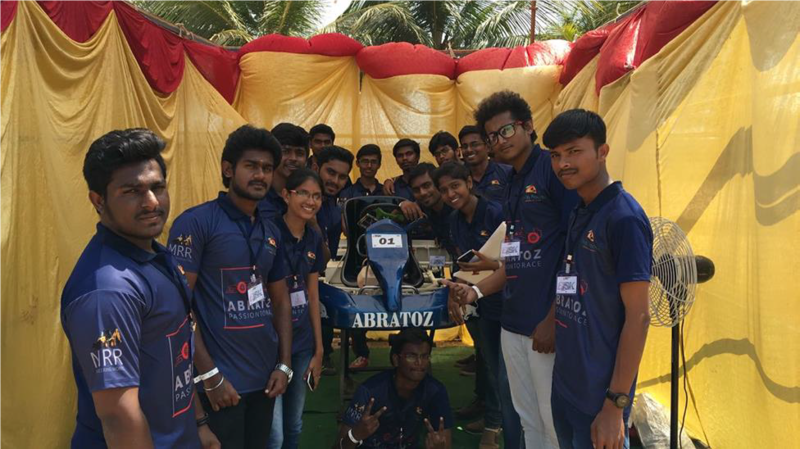 Team “ABRATOZ” of Sona College of Technology have participated in “International series of karting (ISK)–2018” held at Vishakhapatnam from 26th February to 1st march with a team of 23 members from Mechanical Engineering. Each year a team from our college participates in karting event and secure award in different categories. This year event on the performance and endurance category our college team won “BEST AESTHETIC AWARD” in design, and also secured 1st position in state level in point wise and also in race. This entry was posted in Sona College on March 11, 2018 by admin.